Highly concentrated, powerful, yet environmentally preferable multi-purpose spray cleaner and degreaser removes soils from both hard and soft surfaces including floors, walls, tile, grout, fabrics, vinyl, wood, upholstery, carpets, rugs, and stainless steel. Designed to whiten, brighten, and deodorize. 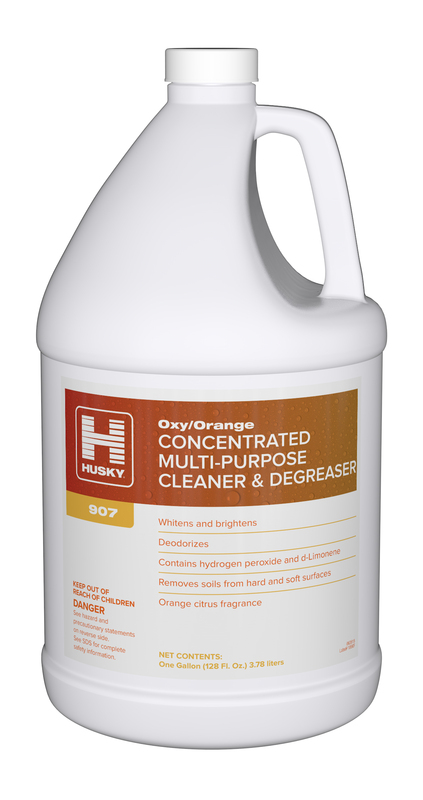 Contains hydrogen peroxide and d-Limonene, a natural solvent, for extra cleaning power.